I might brick my ESP 8266 01 Module but I need help !!! I did get respond with AT command. I able to connect to the WiFi. Now ESP 8266 didnt respond to at command and I am unable to detect the WiFi. It did send garbage message which I cannot read to the serial monitor when it power up. What should I do now to make it work again ? 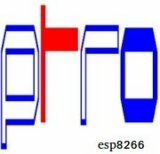 - Thu Aug 09, 2018 8:08 am #77648 Good news, as you can up/download firmware; the esp01 does not looked to be bricked. The bootloader proces is (still) operational. Perhaps/likely you've wiped the "AT" command firmware. In case overpowering the esp8266 some (connected) GPIO pins might burned out and could make the device functionally unusable. Getting garbage form serial, try other baudrate speeds/settings. The best thing you can do is either reload your "AT" firmware or use your own Arduino-IDE/esp8266 sketch. See for some resource: https://www.electrodragon.com/w/ESP8266_AT-Command_firmware. During this process, do no forget toe wipe the flash as settings may else be remembered. Of course you can reload some other firmware. Personally, I would program/compile/load my own firmware using the Arduino-IDE in esp8266 mode. - Sun Aug 19, 2018 5:23 am #77813 Hi this is the latest update. The flash memory (I tried my best to read the info with magnifying glass) This should be a 8Mb size chip. I tried to upload latest AT command and Aithicker command bit it failed to respond to AT command. I think I might setting the wrong address because I am confused with Kb and KB. 1) There is so many at version 1.6.2, 1.6.1 , 1.6 on the official website does it matter? 3) what is the different in between at and at_sdio ?? FYI I did tried to flash with nodemcu and official flasher, both return MAC address. So my ESP 8266 still havent brick ?